Kano (Nigeria) (AFP) - Seven people were killed when Boko Haram fighters attacked a military base in remote northeast Nigeria, setting fire to shelters for those displaced by the conflict, military and humanitarian sources told AFP Tuesday. Rann currently hosts around 35,000 internally displaced people (IDPs), according to the International Organization for Migration. A military source in Maiduguri said the attack began at about 5:20 pm (1620 GMT) on Monday. Poor visibility because of seasonal Harmattan winds hampered the deployment of air force jets, and troops were forced to withdraw, he said. "So far we have three soldiers killed and two others are still unaccounted for," he said. "The base was burned by the terrorists, who took away weapons and vehicles left by the troops when they withdrew." Locals and IDPs fled as the Islamist militants set fire to camps and shelters, he said. There was no immediate official response from the military when contacted by AFP. 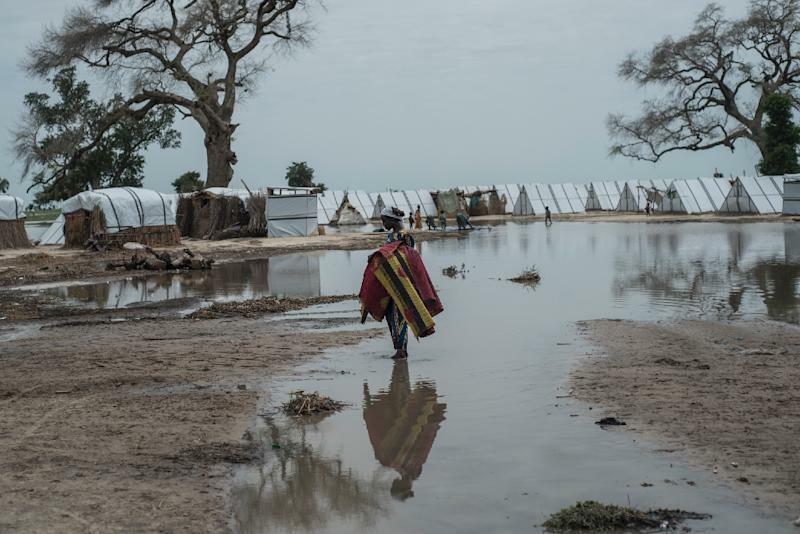 An aid worker in Maiduguri said colleagues in Rann blamed ISWAP for the raid and people fled towards Bulale, on the Cameroon side of the border. "Four IDPs were killed. Two were shot dead while two were slaughtered by the attackers. Several shelters were burned. They also looted food supplies in the town," the source said. Reinforcements from Gamboru, some 40 kilometres away, arrived in Rann on Tuesday morning, the aid worker said.